We have gotten the Dear Jane Bug! If you have one started, want to start one or just want to see what it’s all about, join us in our Dear Jane Quilt Club which meets the last Monday of each month. 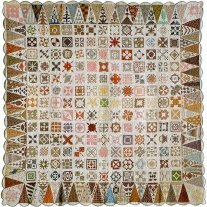 At each monthly meeting, members will receive 15% discount on fabrics and supplies to be used in that quilt only. The club hopes to provide motivation, support, and encouragement to complete your individual quilt.